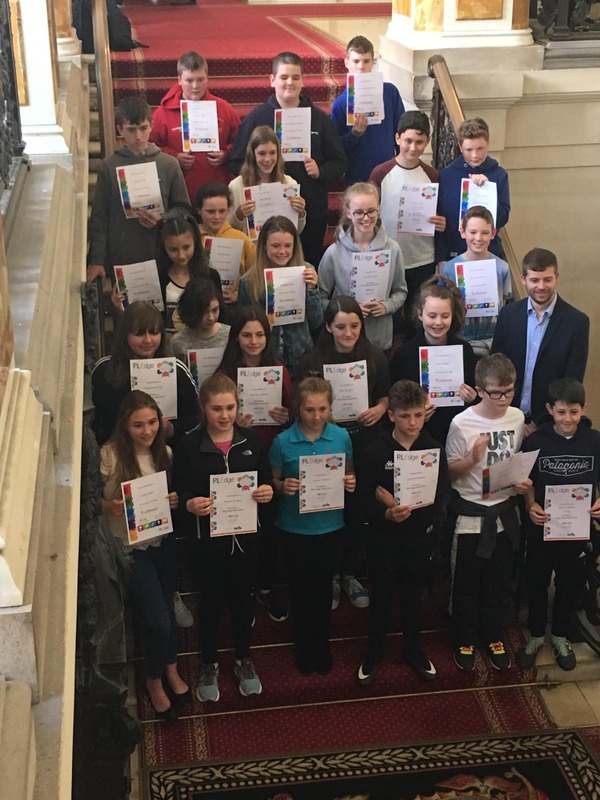 Twenty Three pupils from Llanidloes High School recently attended a presentation in Cardiff to recognise their success with the PiXL Edge programme. PiXL Edge has required the pupils to work on their Leadership, Organisation, Resilience, Initiative and Communication skills all with an eye to helping them build skills for the future. All of these 23 learners did fantastically well at the programme, especially the top achievers Jack Bleakley and Elin Schultz. The presentation took place in the Council Chamber of City Hall, Cardiff and had refreshments among the Hero of Wales statues, to which many of them should aspire to be! Pupils made a day of it by also going Ice Skating at the Ice Arena of Wales and visiting the National Museum of Wales, Cardiff. All pupils did the school proud and thoroughly enjoyed themselves.